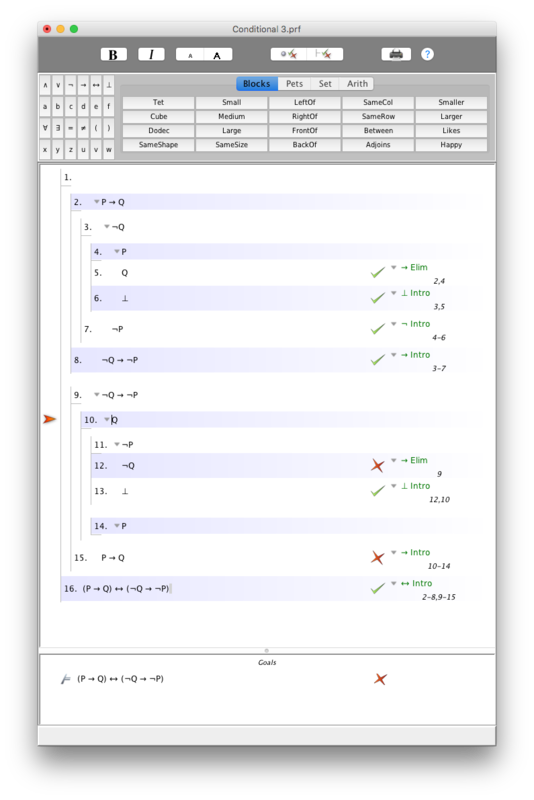 I am currently finding the third part of this exercise (Conditional 3) difficult to prove. I was sure that my proof was correct, but the Fitch program is saying otherwise. I am finding it particularly difficult to understand why my citing and rule are incorrect in line 12. Can someone show me how to do it on fitch? Second, you are discharging the subproof incorrectly. At 10, you assume Q, but at 15 you discharge as P → Q. 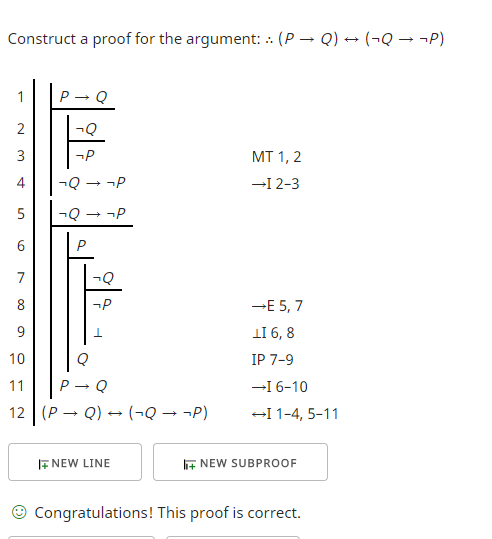 Instead, (if the inside were accurate), it would be Q → P.
I agree with virmaior's answer to what was incorrect in line 12. The problem was caused by affirming the consequent.